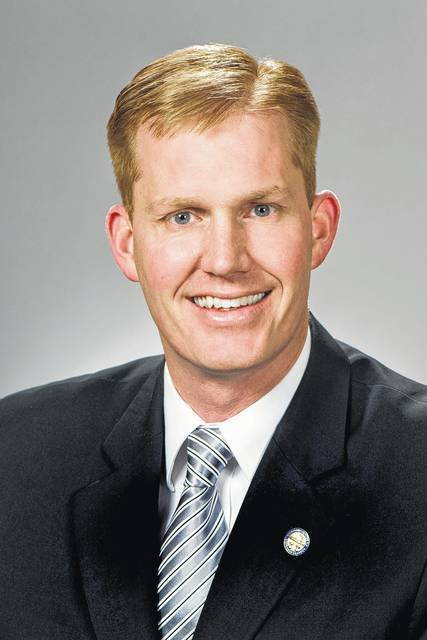 COLUMBUS, Ohio (AP) — Republicans seeking to replace an Ohio House speaker who resigned amid an FBI inquiry reached a stalemate on his successor Tuesday. Speaker Pro Tempore Kirk Schuring, the chamber’s current leader, said state Rep. Ryan Smith won the most votes among three candidates to become interim speaker. However, Smith did not reach the 50-vote House majority that Schuring insists must be reached for any new speaker to be seated. Fifty votes represents a majority of the 99-member chamber. Republicans control 66 seats, one of which is empty due to Speaker Cliff Rosenberger’s resignation last month. The FBI is said to be looking into Rosenberger’s travel, lavish lifestyle and a downtown Columbus condo that he rented from a wealthy GOP donor. A financial disclosure form Rosenberger filed Tuesday shows he spent more than $43,000 on travel last year. He has said all of his actions were legal, and that he’s resigning because the federal investigation would take time to resolve and could become a distraction. Schuring said he wasn’t surprised by the impasse. He said Rosenberger’s resignation in April — as the session was just beginning its second year — opened up uncharted territory for the House. He could not say whether the chamber’s 65 sitting Republicans would reconvene later Tuesday, or when. Smith is Rosenberger’s chosen successor. State Rep. Dorothy Pelanda, of Marysville, and state Rep. Andy Thompson, a conservative from Marietta, also were in the running. Both lawmakers are unable to run again and pitched themselves as neutral placeholders who could restore normalcy and integrity to the chamber following Rosenberger’s sudden departure. Smith already was involved in a competition with state Rep. Larry Householder, a former speaker, to lead the caucus next session. Last week’s primaries were a bitter proxy fight between Smith and Householder, with Householder successfully advancing a host of candidates friendly to his speakership over those backed by the Smith-controlled House Republican campaign committee. Republican caucus members met at a downtown hotel before reconvening at the Statehouse. Pelanda wanted to discuss restoring the reputation of the chamber, which Democrats have labeled “corrupt,” ahead of fall elections. She advocated a new fundraising approach and pledged to address lawmaker concerns about fairness in the legislative process. Thompson, a conservative publisher and former city councilman, said he was pitching himself to fellow Republicans using a Beatles comparison. He told caucus members he’d follow the House’s fractious “Let It Be” period under Rosenberger with a transcendent “Abbey Road” finish. The iconic rockers were notoriously divided while recording “Let It Be,” recorded before but released after “Abbey Road,” considered a one of the band’s greatest albums. Householder did not seek the interim post.